Freezer, a home appliance without which we cannot do or survive. It is a principal home appliance for us as it helps us to preserve food, meat and other perishable items of our daily routine, specially made to keep cooked or half-done eatables fresh for more time. It is now a fundamental part of our life and no home is there without having it. Freezers are quite modern invention and becoming more popular because of newly added features and styles. If we talk about kinds of freezers, there are several kinds available in market. Either you are a commercial buyer or domestic, you will have numerous types to select the right match for your need. These freezers are attractively designed and more expensive, yet convenience of use offered by them is worth more to you. It is best for preservation of those food items you want to approach easily. In it you do not have to bend down food and do not need to dig hard at the time of need. It has shelves where food items can be placed easily by classifying them in sections. They are usually auto defrosting. This is very economical freezer designed like a large box with having lid that open upward. It requires large room space. This freezer is very much ideal for commercial purposes while it is also the first choice of domestic people those require freezer with more space. This is an ideal freezer for those who want certain items near to hand access while they are preparing foods. It has separate drawers so that you can place different items separately and can prevent things from cross contamination. These are mostly of cabinet height and can be place easily at any place in the kitchen. This is the freezer very handy and perfect for your travelling needs, it uses AC or DC power and can also be powered with your car`s cigarette lighter outlet. One can transport it easily with him without the fear that things will go spoil. This is the best food storage for your picnics and other outdoor activities. 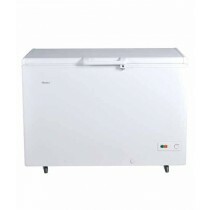 iShopping.pk has updated branded collections of freezers in stock. We are offering freezers from PEL, Dawlance, Kenwood, Changhong Ruba, Samsung, Haier and many more. We are offering very economical prices for our customers. Get the latest model from well-known brands now, feel free to come in touch, we are here to serve you around the clock.